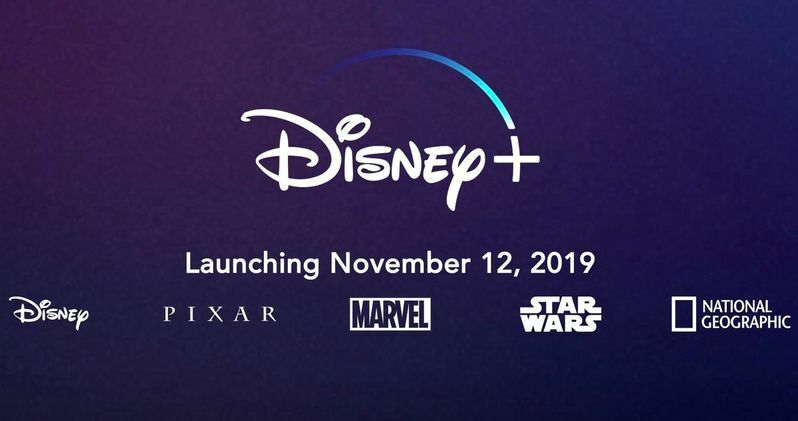 Disney+ will officially launch on November 12th and cost $6.99 a month or $69.99 for the entire year. The news comes after a major wave of announcements shared at Disney's "Investor Day 2019." This is a steal at this price, especially considering how much the streaming platform is going to offer upon its launch. Having every episode of The Simpsons at your fingertips is enough to justify that expenditure on its own and throwing in Star Wars and the Marvel Cinematic Universe is just another added bonus. Disney's Kevin Mayer, head of the company's direct-to-consumer unit, gave investors their first look at the Disney+ streaming platform and unveiled a ton of new shows and movies. The platform will be available on tablets, through a web browser, smart TVs, and Mayer has announced they have already secured deals with Roku and Sony. This is huge and the price point is half of what Netflix is asking for currently, which is yet another selling point. The interface looks a lot like the Netflix interface, but it is its own thing and looks a bit sleeker than the other platforms out there. In addition to the recommended shows and movies, there are separate tabs for the Pixar, National Geographic, Star Wars, MCU, and Disney Signature Collection tabs to navigate through the massive library even quicker than some other platforms who seem to have more of a clunky design. Disney is clearly sparing no expense to get Disney+ off of the ground and running quickly. It's going to be interesting to see how long they can afford to keep the price at $6.99 a month. Disney+ subscribers will be able to set up individual profiles for families, just like Netflix. The parental controls will automatically be applied, so families won't have to worry about some smaller children accidentally watching Thanos Decimate half of the universe. Disney+ is promising beautiful 4K and HDR streaming capabilities on TVs that are able to handle that type of technology. Additionally, content will be able to be downloaded for later use like watching in a car without internet service on a trip. It seems the studio has pretty much thought of everything at this point. Along with The Simpsons and every single Star Wars movie or show imaginable, Disney+ is creating original content within the Star Wars and Marvel Universes. The Mandalorian will be released on November 12th, the day the streaming platform goes live, which is great news for fans who have been waiting to see what Jon Favreau and the gang have cooked up. Then there's the Falcon & Winter Soldier series, which was just officially announced. Disney boss Bob Iger originally said they were going to "walk" and not "run" into the streaming business, but his idea of walking sure looks like sprinting to everybody else. The Verge was the first to announce the Disney+ launch date and price news.